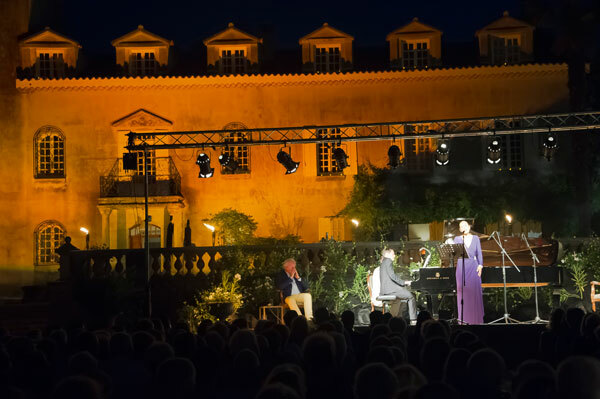 Voix en Vigne, the Lyrical Festival at Chateau Roubine, celebrated the music of Chopin and the destiny of Maria Callas, performed by two exceptional artists. 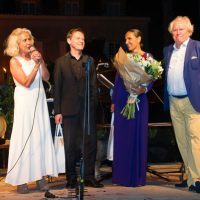 Voix en Vigne, organized by Valérie Rousselle, owner of Chateau Roubine, delighted his public this year with two concerts on Saturday, July 30, 2016, bringing together two virtuosos, Béatrice Uria Monzon and François Chaplin, guests of the world’s largest lyric stages. 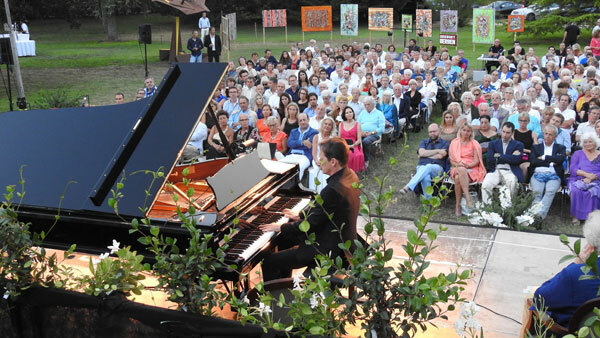 In the castle park bordered by vineyards, under the stars in the summer sky, the magic of Chopin‘s music and the fabulous destiny of the greatest singer of all time, Maria Callas, have charmed many music lovers, amateurs of lyric art and art of living. 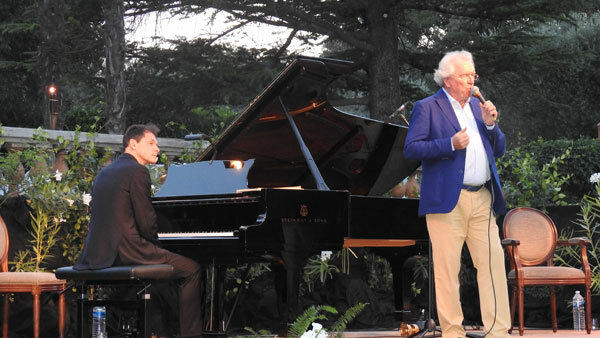 The show began with a Chopin recital entitled A lover of bel canto, masterfully interpreted by the international virtuoso François Chaplin. 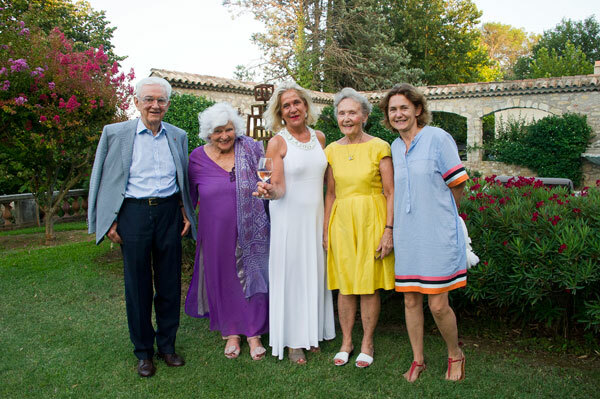 After the intermission dedicated to the art of living and wine discoveries, the famous mezzo-soprano Béatrice Uria Monzon delighted the large audience with Maria Callas, a life, a destiny. 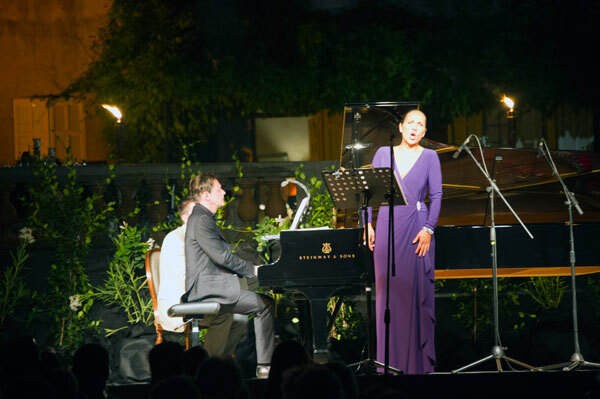 This sumptuous opera program accompanied by François Chaplin, punctuated by the most beautiful pages by Puccini, Bellini, Verdi and Bizet, perfectly illustrated the life and loves of “La Callas”, with the fascinating musicologist and poet Alain Duault as narrator. In the first part, François Chaplin interpreted Frederic Chopin’s sublime music, a composer who dedicated his life to his “bright little poems”, the “Nocturnes“. In love with a Polish girl, he composed his Farewell Waltz because the parents refused the musician and sent their daughter to Paris. Hoping to see her again, he follows her to Paris and compose for her the Grande Valse Brillante. With Franz Liszt, he is at the origin of the modern piano technique and his influence is at the origin of a whole line up of great composers. Francois Chaplin played the Polonaise Opus 26 No. 1, the Nocturne Opus 9 No. 1 , some Mazurkas, the Nocturne Opus 48 No. 1, and finished with waltzes: the Waltz No. 2 Opus 64, No. 1 Opus 69, No. 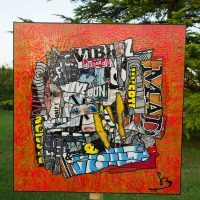 3 Opus 34 “Grande Valse Brillante”. 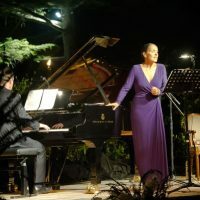 In the second part, the gorgeous and sublime mezzo-soprano Béatrice Uria Monzon revived Maria Callas’ flamboyant destiny through the airs that marked the career and the love life of the most famous divas. “The Callas” triumphed on the most prestigious opera stages of the world: Paris, New York, London, Milan, Venice, Rome, Buenos Aires, Mexico City… and marked forever the opera world by her incomparable wide-ranging voice and dramatic interpretations. 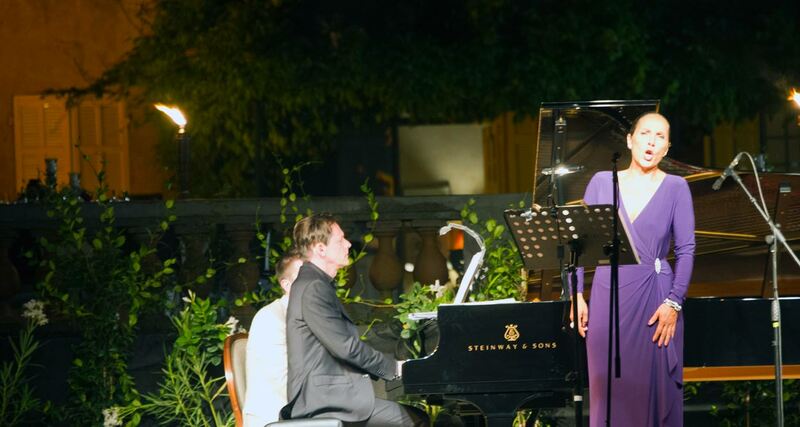 To illustrate this fabulous destiny, Béatrice Uria Monzon sang arias that have marked the career of the brillantissime singer that Maria Callas was. With Alain Duault as narrator, the fascinating life of Maria Callas is revealed through the arias interpreted by Béatrice Uria Monzon. Maria Callas had her first success with La Tosca and the aria Vissi d’Arte. 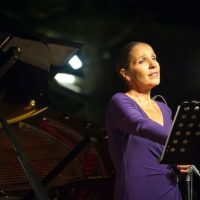 The mezzo then sang the arias of Gioconda: Suicidio; The Force of Destiny: Pace, Pace mio Dio; Norma: Casta Diva; Cavalleria Rusticana: Voi lo sapete; La Traviata: Addio del Passato; Macbeth: Vieni affretta; Carmen: Habanera. 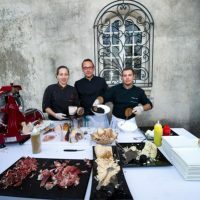 Daughter of the Spanish painter Antonio Uria Monzon, Béatrice Uria Monzon spent her childhood and adolescence in her hometown Agen. She enters a high school choir led by Roland Fornerod who introduced her to singing, which becomes obvious for her. 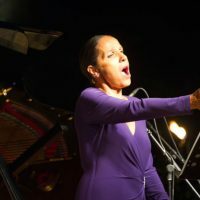 After studies in art history, she perfected her musical training at the Ecole d’Art Lyrique of the Opéra National de Paris and quickly begins on the biggest French stages: Lyon, Toulouse, Aix-en-Provence Nancy, Marseille. Renowned for her interpretation of the great French heroine of Massenet and Berlioz, and for the role of Carmen that she embodied on the major national and abroad stages, the mezzo Béatrice Uria Monzon is among the best voices of her generation. 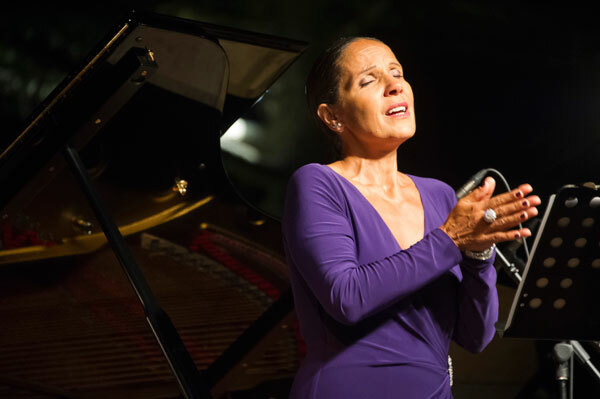 In 2015, she triumphs at La Scala in the legendary role of Tosca. 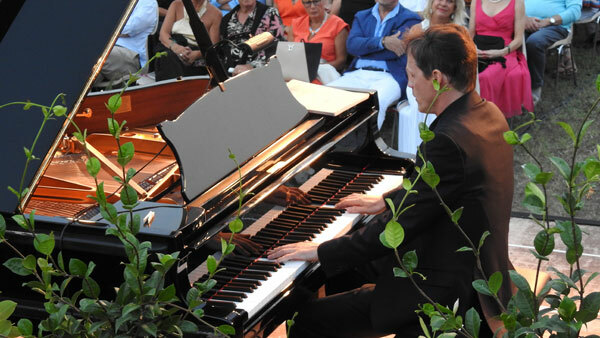 Francois Chaplin discovered the piano at the age of 6. After years of learning, he trained with the Bulgarian pianist Ventsislav Yankoff at the National Conservatory of Music in Paris and follows the class of chamber music directed by Jacqueline Robin. He won his first prize for piano and chamber music in 1987. He then won the Mozart and Robert Casadesus Awards at the international competition of Cleveland, in 1989. These awards mark the starting point for an active and successful international career. 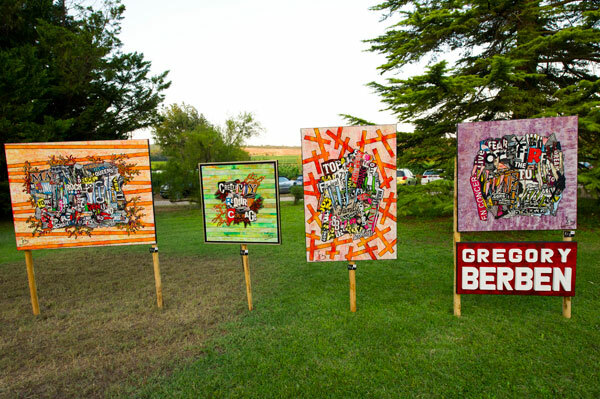 Throughout the evening, music lovers were able to admire the works of the painter and sculptor Gregory Berben. 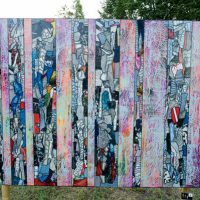 Born in Cannes in 1974, Gregory Berben is a visual artist, painter and sculptor, self-taught with an unusual path. A sports professional for a dozen years, he juggled with two careers. 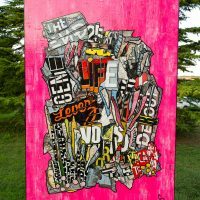 As the exhibition succeeded one another, he put away his sneakers to devote himself to art in early summer 2009. 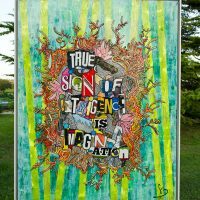 His works are an ode to the energy of life. 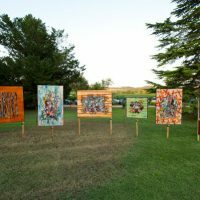 His paintings, collages and original creations based on recycling and his sculptures full of color and intensity, travel the world: Hong Kong, New York, Miami, Monaco, Paris… Since July 2015, the artist has transferred his studio in the residence of artists “Le Suquet Arts” in the old town of Le Suquet, in collaboration with the city of Cannes. 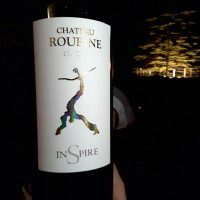 During the intermission, the audience enjoyed, under the tall trees of the park Chateau Roubine, some wines Crus Classés from the domain. 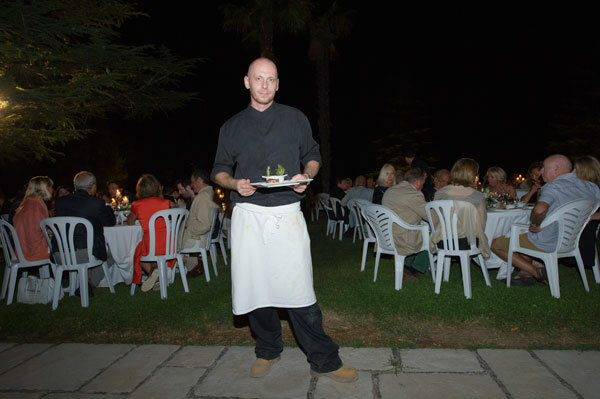 Chateau Roubine’s Crus Classés were also tasted during the gala dinner which closed the evening, a delicious meal prepared by the talented young chef Christian Bœuf from La Bastide des Magnans in Vidauban. 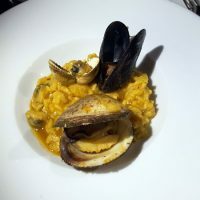 In honor of Italy, homeland of Bel Canto, the chef had prepared a Risotto with Shellfish and Saffron, followed by a Veal Pavé sauce Marsalla with its Eggplant Parmigiano. 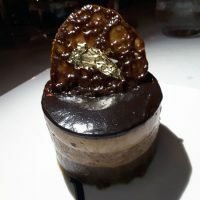 And for dessert, an Opera was obviously needed. 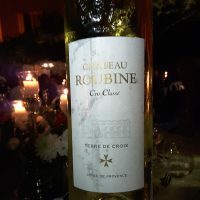 The Chateau Roubine, managed by Valérie Rousselle, is one of the oldest vineyards in France. 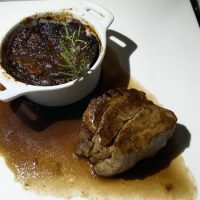 Located in the heart of the Var, between Draguignan and Lorgues, it has always been tied to the history of Provence. The vineyard offers the richness of its soil and nature through advanced winemaking equipment. 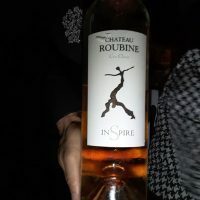 Since 1953, the Chateau Roubine received the appellation Cru Classé for its unique and prestigious Red, White and Rosé vintages: Inspire, Terre de Croix. 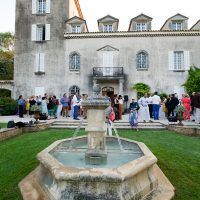 The Castle recently launched a new iconic Rosé: La Vie en Rose.